Extend and enhance your idea to a brand new market. This is a moment you can't ignore. 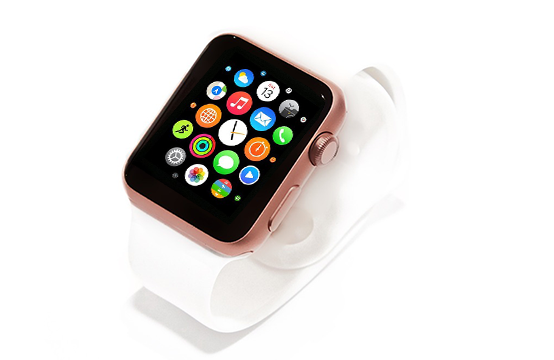 The Apple Watch is one of the earliest and most successful Gadgets on the market. Apps for Apple Watch are usually built to work in conjunction with iOS devices only (The Watch itself, iPhone, and iPad). When Apple launches a product, it reshapes the whole industry. CEO Tim cook has done it again with the Apple Watch! Our versatile developers are there to help you build engaging apps. The Apple Watch is going to change the way we live our lives through unmatched convenience & powerful data-gathering for more focused, "quantified self". It's the dream device for wearable enthusiasts and when demand for Apple Watch apps explodes, we want your app to be right there at the forefront. With the recent OS update revealed at WWDC15, app developers have more freedom and control than ever. Contact us now to get your free consultation. Apple is supporting developers heavily and Software Developers India's iOS engineers are already at work with the WatchKit API. This kind of opportunity doesn't come frequently, and we are putting in 100% to support our entrepreneurial clients in entering this promising market. Software Developers India is a premier Apple Watch app development company and we´re ready to create your successful app today. Bring your Apple watch app ideas to us and we will get your next entrepreneurial venture started. We look forward to speaking to you, so call us on 408.802.2885. Thank you, one of our specialists will contact you shortly. I am interested in learning more about your Apple Watch App Design and Development services, Please contact me. Working with SDI allowed us to express that vision to our consumers. We found them to abundantly creative and responsive to our needs. I am absolutely satisfied with their work. They did a great job, and they are friendly people. I am interested in learning more about your Android App Design and Development services, Please contact me.